Dr. Ira M. Fine is Board Certified in Internal Medicine for more than 25 years. He has more than 10 years of experience practicing Aesthetic Medicine and has been called a “Genius with “Injectables” for his ability to achieve light-handed, natural looking results. Dr. Fine’s legion of loyal patients in south Florida and beyond were the driving force behind creating this sanctuary, offering the best medical-grade, non-invasive results-driven cosmetic procedures and products within a soothing spa environment. 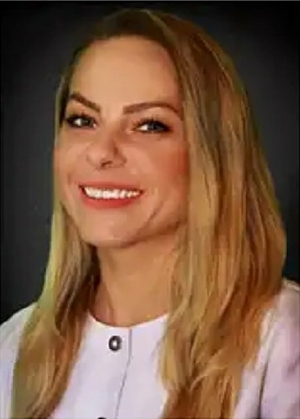 Irene Guagenti is a Laser Technician, is Certified Medical Electrolysis provider, and Facial Specialist with more than ten years of experience. She specializes in electrolysis, laser hair removal, facials, chemical peels, and aesthetic procedures and is a certified Coolsculpting professional. The Fine Aesthetic family is growing. Watch this page for our new staff bios and images! Fine Aesthetics Offers The Most Up To Date Methods Including Botox, Xeomin, Dysport, Facial Fillers - Restylane, Belafill, Radiesse, Juvederm Sculptra Aesthetic. Silhouette InstaLift, Platelet Rich Plasma (PRP), Are Offered In Combination With The Latest Aesthetic Skin Treatments Including Microneedling With DermaPen 3 Targeting Brown Spots, Acne Scars, Fine Lines And Wrinkles. We Invite You To Explore Our Site And Learn About How We Can Help You Be Your Best You. Fine Aesthetics is located just blocks away from the ocean next to Veterans Park by the Intracoastal in Delray Beach, allowing you to have all of your treatments in a relaxing, convenient location.